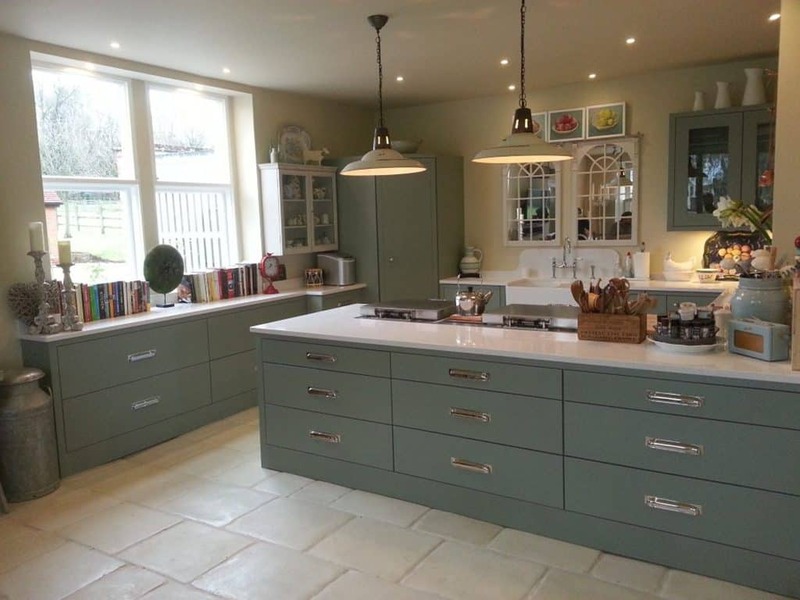 Our brief was to create a new kitchen and living area in a manor house. This was a major project. It involved significant construction work, including the removal of two walls, and the installation of large sliding doors on to the garden. During the construction phase, we uncovered an old fireplace and number of other original features. These were incorporated sympathetically into the room design. 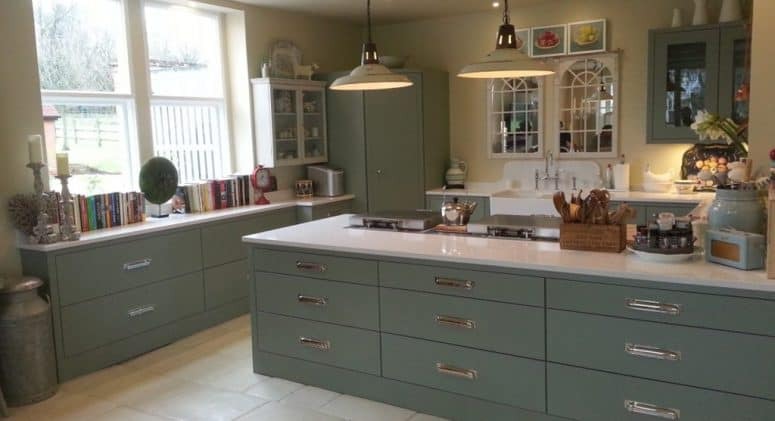 We fitted the kitchen with Haydown bespoke cabinets, quartz worktops, and an Everhot oven. We also installed a large corner fridge and other quality integrated appliances. This was a really enjoyable project with a fantastic outcome!